Wireless network discovery, setup, monitoring and management can now be done in the palm of your hand â€“ anytime, anywhere, with NETGEAR Insight app. Reliable wireless connectivity for employees and customers is a requirement for any business today. All devices are now connected, all users are mobile and â€œWiFi everywhereâ€ is commonplace. Business owners are often too busy to handle this and need WiFi that just works! NETGEAR introduces the new IT revolution for small businesses with â€œOne-touch connectivityâ€ with Insight management app. Experience easy set-up, remote management and full control of your wireless network. With 20 years of experience in small & medium business networking, NETGEAR is now delivering wireless connectivity that â€œjust worksâ€ at your fingertips. 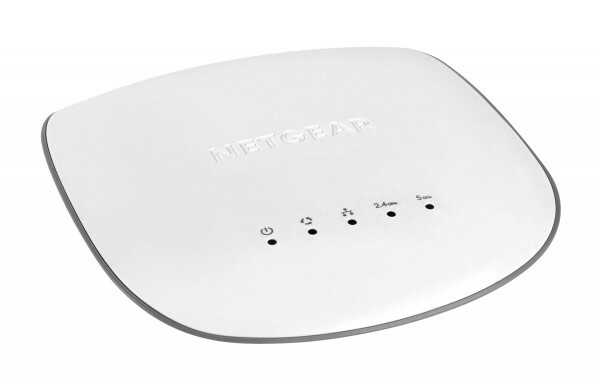 NETGEAR Insight enables multi-device configuration of your NETGEAR Insight Managed wireless access points, either locally or remotely. It provides network management, monitoring and service deployment across multiple remote and local sites for the easiest and most user-friendly wireless networking experience. Anywhere management also includes Insight Managed switches and Business-Class ReadyNAS on top of Insight Managed Wireless Access points, enabling whole network visibility and management. Insight app also allows you discover select wired and wireless devices from your local or remote network.